Weddings are a wonderful way to bring friends and family together, and enjoy special moments together, impressive moves on the dance floor, and, of course, delectable food. Selecting your caterer and your accompanying menu can be fun, delectable, and a little bit stressful. To help you choose the best menu for your needs, we have compiled a few tips and tricks below. To make sure your menu is exactly what you have dreamed of, it is important to be upfront. Let your caterer know your budget if there are any food restrictions, and what your dream menu looks like. 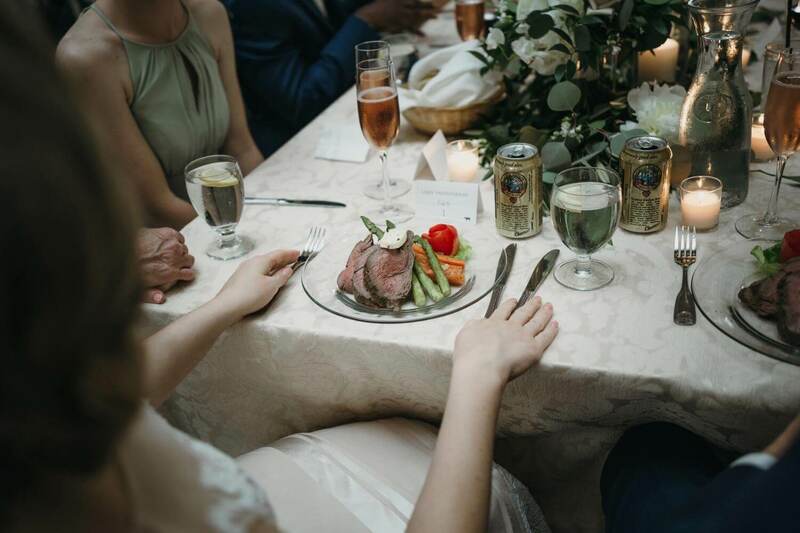 If you are looking for some of the best wedding catering Minneapolis and its surrounding areas has to offer, call us at Deco Catering. We can help you customize a menu that will work with your budget, wedding theme, and dietary needs. Tastings are an invaluable part of choosing your caterer. They not only help you to taste what is available but also allow you to customize menu items and ask questions. Plus, they are fun for everyone involved! Be sure you use this time to ask your caterer what is most popular, and how capable they are of customizing your menu! No matter if you are planning a black-tie event or a chic country affair, food will be one of the most significant parts of your big day. That is why it is important to keep your theme in mind when you are planning your menu with your caterer. Not only is the menu important, but the serving style (i.e., buffet, plated, family style, etc.) will also make a statement at every wedding event from your rehearsal dinner to the reception. We know that planning your big day is something that should be joyful and that is why we strive to offer fantastic customer service, phenomenal menu options, and expert advice to help you pull off the wedding of your dreams. To book a tasting or ask questions about our menu and service options, give us a call or contact us via our website. We can’t wait to hear from you!